“One of the frequent themes of steampunk literature, is inventors toiling in obscurity on their creations – that is a pretty fair synopsis of the steam gun’s creation by Charles Dickinson and William Joslin,” Lamb says. What started as an effort to build a hand powered “centrifugal” gun by the men, grew into a steam powered weapon that rocketed to national prominence in the wake of the April 19, 1861 Baltimore Riot. John W. Lamb, author of A Strange Engine of War: The “Winans” Steam Gun and Maryland in the Civil War works in communications and development in the non-profit sector, is interested in Maryland’s Civil War history, 19th Century technology and shapenote singing, and appeared on the Discovery Channel’s *Mythbusters* series episode regarding the Winans Steam Gun. He lives in Harrison, Tennessee, with his wife and 3 children. Steam at Harper’s Ferry is a Victorian/Steampunk themed art gallery and gift shop located in the historic lower town of Harper’s Ferry, West Virginia. Steam at Harper’s Ferry has quarterly openings and features local and regional artists. The “Winans” Steam gun aka the Baltimore Steam Battery, the Baltimore Steam Gun, and Dickinson’s Patent Centrifugal Gun, rocketed to national prominence after the April 19, 1861 clash between secessionists and Federal troops in Baltimore, Maryland. Readers of newspapers across the United States learned of a strange, and allegedly powerful steam powered weapon brought forth to fend off more Union troops seeking to pass through the town by rail to Washington. Though it was invented and built elsewhere, the gun quickly became associated with Ross Winans, a pioneering locomotive builder, and inventor of an unorthodox class of steamships – the Winans Cigar ships. Since then the gun has become a familiar part of the story of the riot’s aftermath. It has been counted as his invention ever since, though his connection to it has been greatly exaggerated thanks to hundreds of secondary sources that incorporate incorrect information. The account that follows is based on more than 10 years research on the gun in period publications and other sources for a book that is being developed on it. Rather than being the invention of a rich Marylander, the gun in fact grew out of work by Ohio inventors William Joslin and Charles S. Dickinson on a hand-powered centrifugal gun. 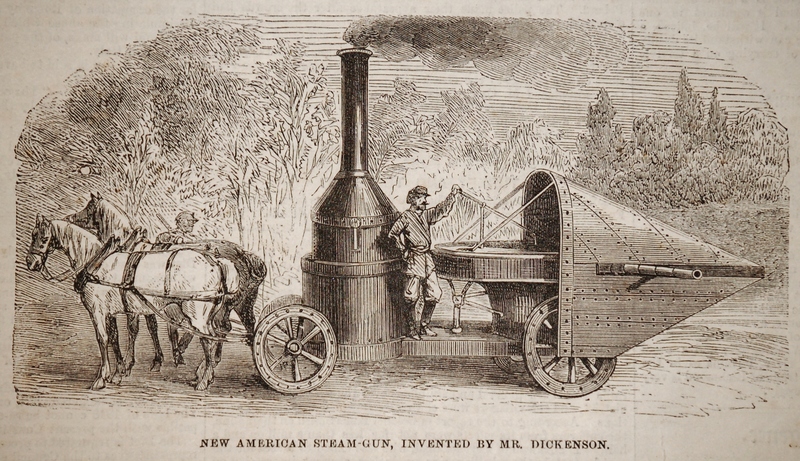 After the two had a falling out, Dickinson promoted the device under his name, and found funding to build a new steam powered gun in Boston in 1860. He brought the device to Baltimore where it was publicly exhibited. After April 19, 1861, the gun was taken from Dickinson and/ or his associates by city police to be put in readiness for use if needed. Available evidence suggests that the gun was take to foundry/machine shop of Ross Winans and his son Thomas who had been engaged by city’s Board of Police to make pikes, shot and other munitions items. Shortly after, the gun was taken from the Winans’ facility and publicly displayed with other weapons being gathered by city authorities. In the excitement of the times, Ross Winans’ public involvement in state’s right politics in Maryland, his great fortune, word of the munitions work being done at his factory for the city, and city defense appropriations became mixed in the press, and were carried in papers across the country. After calm returned, the gun was taken again to Winans shop for repair at city expense, then returned to Dickinson, who then attempted to take it to Harper’s Ferry to sell to Confederate forces. Union forces captured the gun, intact, in mid journey and took it to their camp at Relay, Maryland. His association with the gun, his politics and rumors of his munitions making led to Ross Winan’s arrest and a brief detention by Federal forces. He was released after 48 hours, after agreeing that he would not take up arms against the government. The gun was eventually sent to Annapolis, then to Fortress Monroe, and eventually to Massachusetts. It would be exhibited at various events long after the war but would eventually be scrapped at the end of the 19th century. It is perhaps the best known, yet most widely misunderstood steam gun of the Civil War period. The author of this account was featured in Mythbuster’s episode #93 – Confederate Steam Gun that premiered in December 2007. Thanks to Mythbusters, his research was noted in an extensive story in the Baltimore Sun. 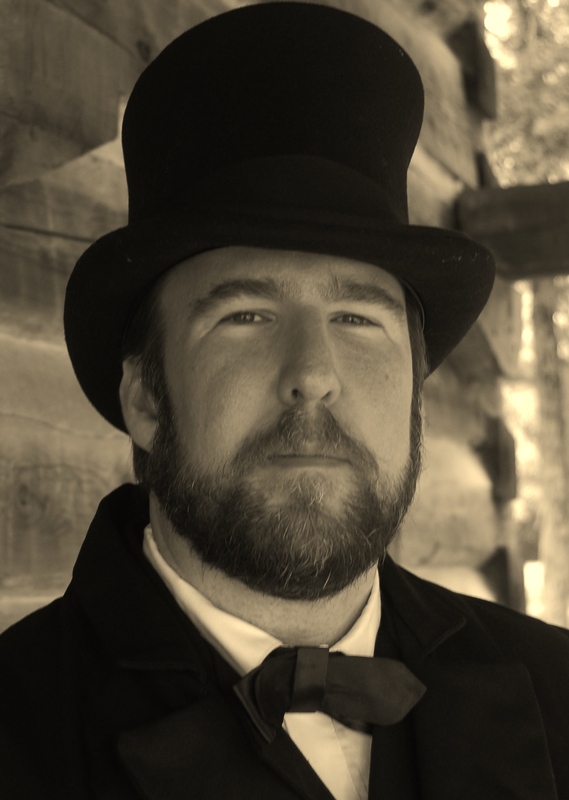 Lamb has published several articles on Maryland Civil War topics, is the creator of http://www.2ndmdinfantryus.org, has produced six field recordings of shapenote singing, and is currently at work on several historical book projects. 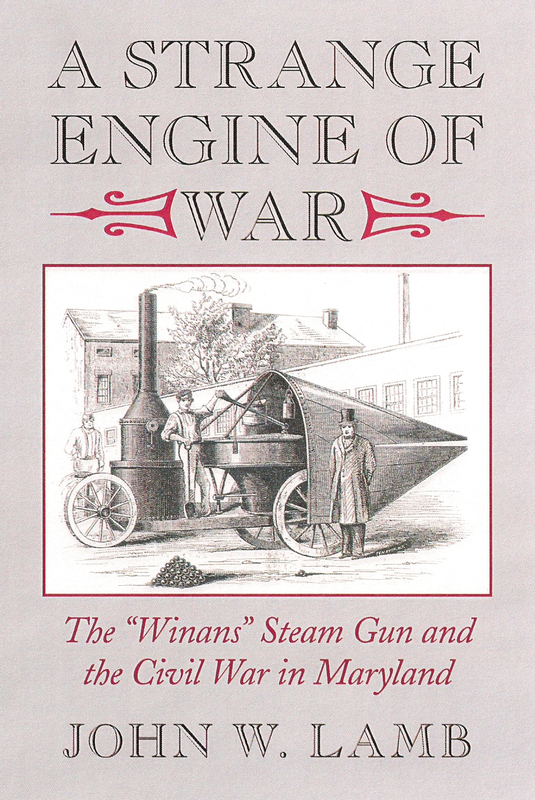 He is the author of A Strange Engine of War: The “Winans” Steam Gun and Maryland in the Civil War, published in 2011.